I will begin with saying SPOILERS!!!! 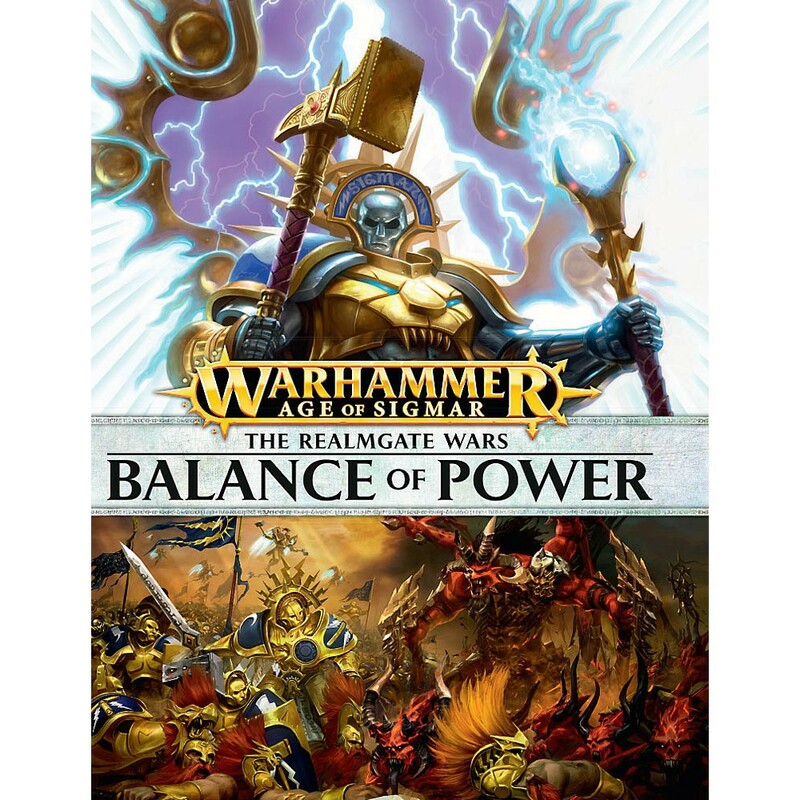 as I will be discussing parts of the recent Balance of Power book for Age of Sigmar. I have recently completed my first read through of Warhammer Age of Sigmar: The Realmgate Wars (book 2) Balance of Power. 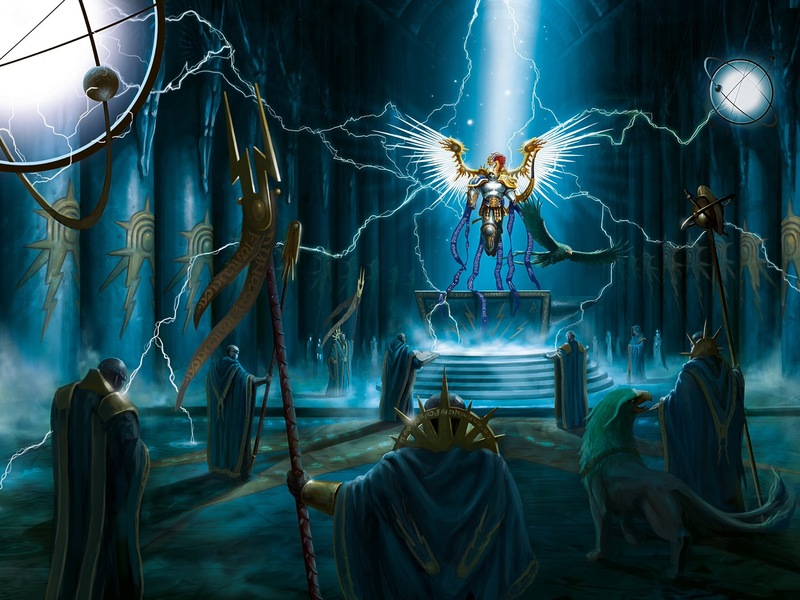 The book moved the story ever forward as we have been promised with the new Game and The Mortal Realms are as exciting as ever, but this time around there was more focus on the gods of the realms. 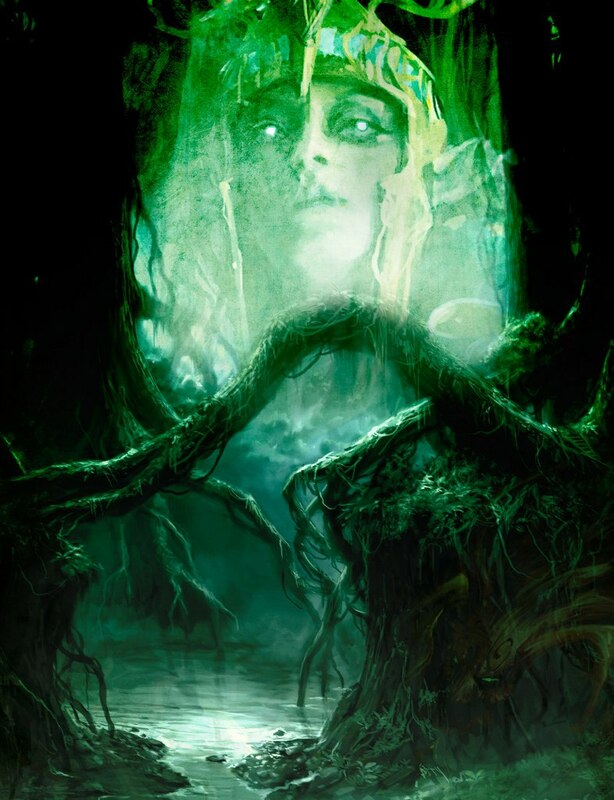 In the realm of Life Alarielle is continuing her escape with add from the Sylvaneth as well as the Hallowed Knights (ONLY THE FAITHFUL!). She begins a metamorphosis along the way and her (literal) Right hand decides on a path to cleanse any possible corruption and allow her soul to absorb the honor and glory from fallen heros so she might be reborn as warrior queen so she might lead her armies to retake the realm from Nurgle. During a final climactic battle Sigmar sends down his Celestant-Prime and boy does this guy deliver.  I wont go into much detail on his battles, but if you get a chance to read anything about when he comes to battle get ready for an enjoyable time. Ultimately the battle ends with only Stormcasts alive as the Prime uses Ghal-Maraz to turn the Nurgle Champion leader into a fine red mist. However, it is not the end for this guy as we find out. 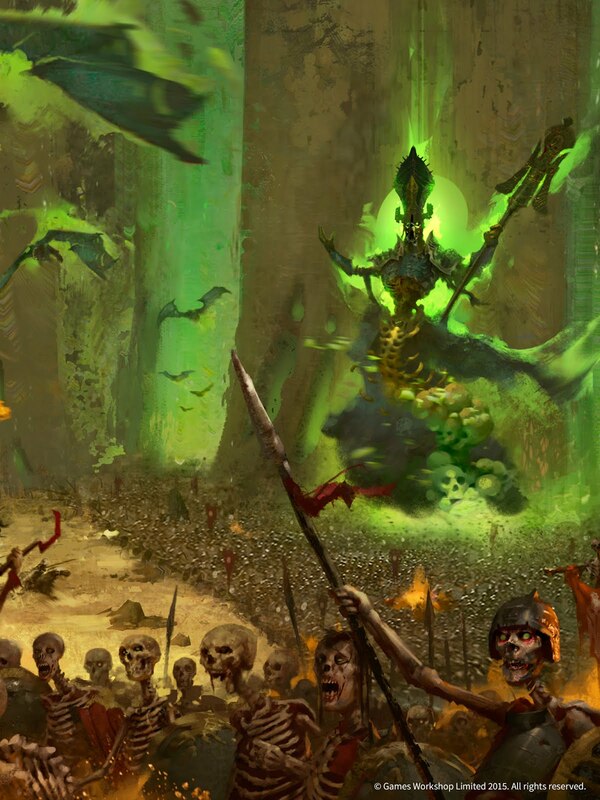 Nagash makes a (very)small appearance as A new Stormhost is sent to aid Neferata and seek to parlay with the Lord of Death. There is plenty of Slaanesh in this battle which is great to see. The God of Excess is very much alive....somewhere. Sadly, not much else happens in this arc, but we will probably see more in the novels and dramas coming out soon. Remember that Nurgle Champion? Well it was explained that he was corrupted by Nurgle despite being a stalwart champion of the realm of life. He never died, but was slowly corrupted which is why Sigmar was not able to sweep him up to be reforged (Even during the battle which he died to the Primes hammer he has a small moment of doubt in what he has done). So here he is reborn as a Hallowed Knight ready to take revenge on the Chaos that so long corrupted him. This is the balance of power. For so long Chaos has been able to tempt and taint mortal beings to fight for them. Chaos has always had the upper hand in this as when one began to fall there was no escape. It seems Sigmar has found a way to purify these souls who are corrupted. Sigmar can now possibly redeem any (noble) Chaos Champions/Warrior killed in battle by pulling their soul to Azyr to be reforged and rid of the Chaos taint. So what about that throw away line about Archaon? Is it possible for Archaon to be reforged as a Stormcast (possibly as powerful as the Celestant-Prime himself?). It all would appear so if someone can kill Archaon to allow this to happen. Either way I am very excited to see how this plays out in the next campaign book!